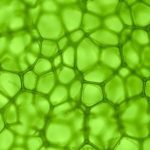 Within the Cell & Tissue Design platform methods and technologies are developed to optimize the regeneration abilities of plant cells and tissues. This enables precision breeding and delivers novel biological concepts for seed production and variety development. Providing solutions for cell biology bottlenecks associated with creation of genome edited crops in plants which are difficult to regenerate from single cells to a fertile stage. Creating crops with improved complex traits, such as reproduction traits, biotic and abiotic stress, via creation of novel plant tissues. KeyGene has state-of-the-art protoplast protocols for plant regeneration and genome editing.